The Mechatronics Dept. 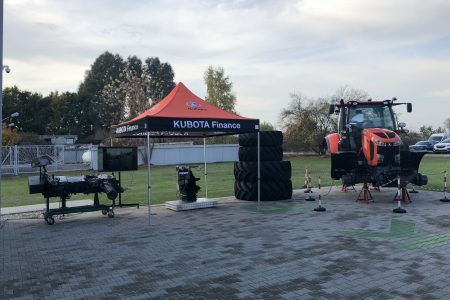 of Kubota has prepared a range of tools and accessories to be used by pupils in Kaczki Średnie. This includes models of implements, ISOBUS simulators and universal K-Monitor terminals. Owing to this equipment, the school in Kaczki Średnie offers the most modern and best equipped precision farming teaching facility in Poland. “In order to succeed, farmers in near future will require much more than just a reliable tractor. 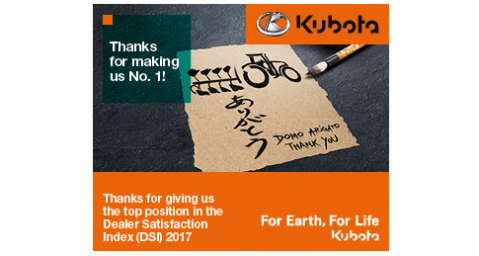 At present, the Kubota brand offers implements and management systems that communicate with the tractor increasing the effectiveness of all resources, such as seeding material, fertilizers, and pesticides. 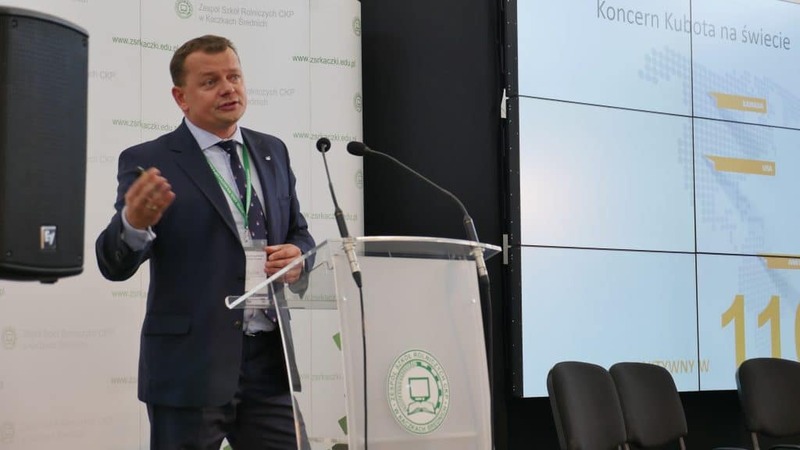 Cooperation with the agricultural school in Kaczki Średnie within the realm of the Precision Farming Center perfectly complements our ambition of being widely recognized as the provider of complete solutions for agriculture. 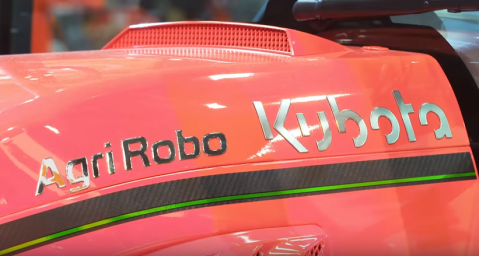 This is the reason why we consider this as a key project for us”, says Andrzej Sosiński, marketing manager at Kubota. The Precision Farming Center is equipped with three hardware teaching stations and numerous software licenses for K-Monitor simulator. The first station allows to remotely control the Kubota M7131 Premium KVT tractor that has also been supplied to the school. Additionally, the tractor is equipped with the auto steer function, IsoMatch InLine manual guiding tool and the set of 2 IsoMatch Multieye cameras. Immobilized tractor can be controlled from the operator’s seat and K-Monitor located outside. 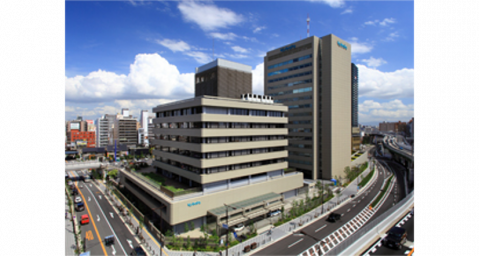 This facilitates simultaneous training of large groups of students. A fully functional model of a Kubota spreader featuring GEOspread technology with section control and variable rate constitutes the second teaching station. The spreader answers to signals from the virtual field and operates just like in real-life conditions. The third teaching station has the form of a section control simulator, while the school has also purchased a Kubota tedder, rake and harrow, as well as a number of universal 7 and 12-inch touchscreen K-Monitor terminals. 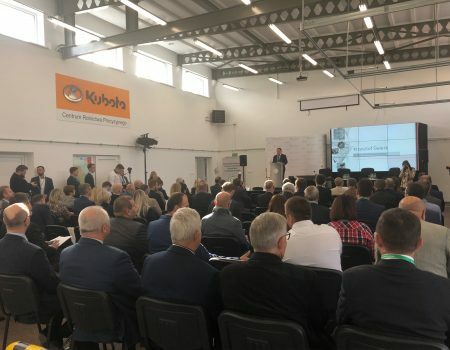 The Precision Farming Center will support the education of competent and future-proof farming machinery specialists that will be given a perfect overview of most up-to-date farming technologies. 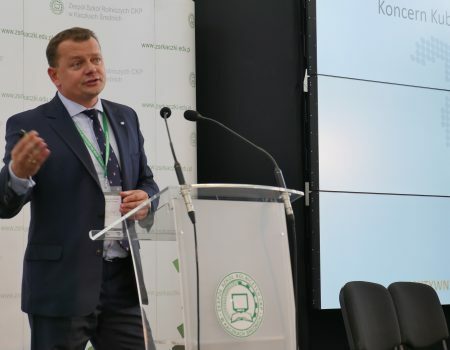 Owing to this, graduates of the Agricultural school in Kaczki Średnie will enjoy a better position on the labor market, especially in the realm of agriculture – both in Poland and abroad. The launching ceremony on the 17th of Oct. was attended by local authorities as well as representatives of various business fields. 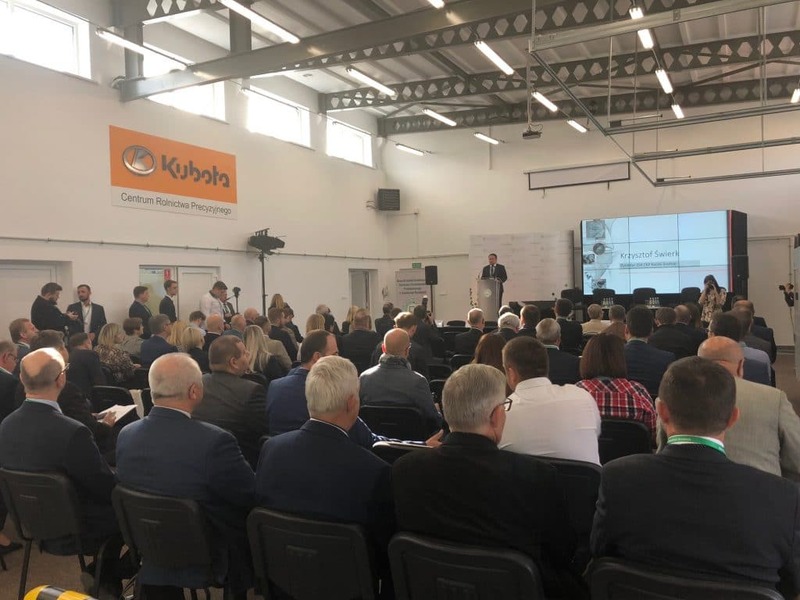 This included Head of Konfederacja Lewiatan, an entrepreneurial association that aims to introduce good business practices in various fields, Association of Automotive and Industrial Employers, Your Future In – the first Skills Hub recognized by the government of Scotland and the Centre for Innovative Education.